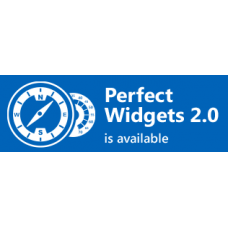 Perfect Widgets offers a convenient and easy-to-use gauge designer. Adjust pre-set HTML5 data visualizations: add, edit or delete any gauge elements, set complex behavior in short scripts. Create new gauges with just few mouse clicks. Save as a template or export to JSON for further use in web applications. 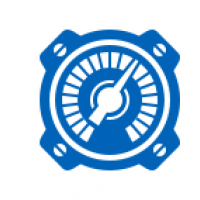 Adding js gauges to the application is as easy as writing few lines of code. You can set any parameters describing your HTML5 widget. Create even the most sophisticated gauges configuring gauge primitives in any imaginable combination. It is even possible to create a custom object using JSON. .
Use Perfect Widgets on any platforms: ASP, ASP.NET, PHP, JSP, ColdFusion, Ruby on Rails and simple HTML pages. Access from any devices: desktop, laptop, mobile (including iPhone and iPad), and via any browsers: IE, Mozilla Firefox, Google Chrome, Opera, Safari, etc. All gauge elements are customizable. You just need to change its properties. It is possible to set gauge style in CSS. It is possible to bind values of separate elements. For example, thermometer height and slider position or needle sweep angle and number in the text box. Integration of the product is faster and easier, since implementation logic is hidden inside the gauge. The user can interact with a js gauge; for example, set its value with the mouse. Gauge animation is customizable as well: you can set simple or advanced animation or disable it. 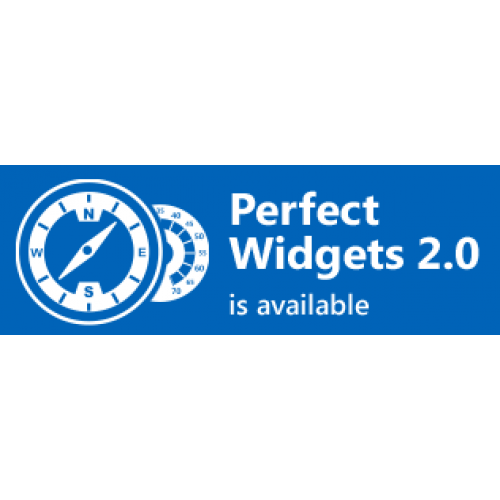 Perfect Widgets for Windows 8 – Powerful HTML5 Gauges for WinRT Based Apps Perfect Widgets for Windo..